Belize is recognized for its biodiversity, distinctive ecosystems and celebrating a variety of cultures. 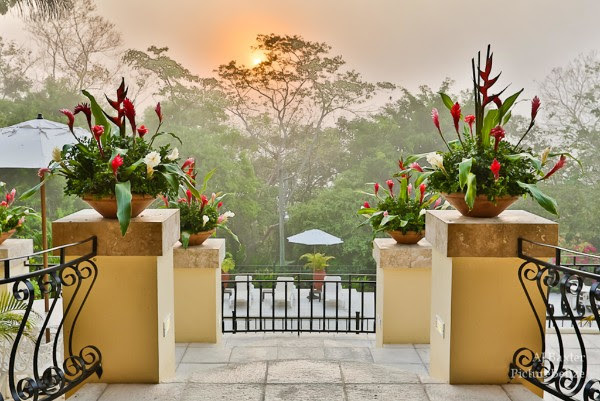 The San Ignacio Resort Hotel in Belize offers many activities that allow for visitors to immerse themselves into the culture through local tours. A San Ignacio town tour will provide you with an overview of the city and the famous farmers market. It is the ideal way to kick off your trip and become familiar with the area. The Maya Women's Community Tour offers an opportunity to observe this group's way of daily life as you cook tortillas and create pottery alongside them. The Mennonite Community Tour teaches participants about their role in providing Belize with a variety of agriculture products, as they live simply like the Amish. As cacao is a staple crop of the country, AJAW Chocolates offers an experience to take part in the chocolate making process from start to finish, allowing you to taste the product at each stage in the process. You can then go back to the San Ignacio Resort Hotel and do a chocolate scrub while you relax and learn the medicinal purposes of cacao. For reservations and more information on San Ignacio Resort Hotel and their cultural immersion tours visit www.sanignaciobelize.com or call 855-488-2624. Tartan Weddings is a destination wedding planning service that designs wedding experiences in historic castles of Scotland. Founded in 2018, Tartan Weddings was born out of a love for Scottish castles, traditions, and the incomparable beauty of the Scottish countryside. A native of Scotland, Founder Lisa Bauer decided to combine her event planning skills with knowledge of her home country to help guide couples to create the wedding of their dreams. Tartan Weddings strives to preserve Scottish wedding traditions such as: Quaich, handfasting, bagpipes, kilts, and many more. The new destination wedding company gives couples access to the most sought-after castles across the Scottish countryside while intertwining Scottish values and tradition. Lisa's ties to her native country ensures a deeply personal approach as she guides her clients through all aspects of the wedding planning process. She brings her knowledge of Scottish wedding customs and traditions to the company; offering the bride and groom a truly authentic experience. For more information please visit TartanWeddings.com. The Pearl in San Antonio is hosting Olé San Antonio, a summer-long program celebrating San Antonio's Spanish heritage in commemoration of the city's 300th anniversary. As part of the program, Hotel Emma, the historic boutique hotel at the Pearl, has prepared a series of six Master Classes honoring some of the essential flavors of Spain: olive oil, jamón (Spanish ham), tinned fish, salt and spices, wine and sherry, and cheese. Each event in the series will include a ticketed session facilitated by experts and makers of the particular product. Guests will enjoy (depending on theme) a deep dive into the culture, economy, and trends of the product and an expertly guided tasting opportunity. Additionally, the series will feature a casual tasting at Larder, the property's fine grocery store, and at Supper, Chef John Brand will create a special tasting menu highlighting the various uses, applications, and flavors of the spotlighted product. Additionally, in honor of San Antonio's Tricentennial, Hotel Emma is offering a special rate now through September 16, 2018. The special, 300 years, 300 dollars, features rates starting at $300, plus complimentary valet parking. For more information and to make a reservation, visit www.thehotelemma.com. 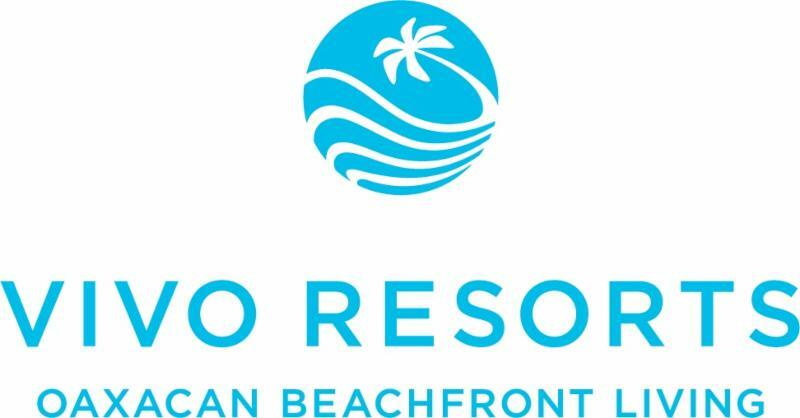 Vivo Resorts & Residences, Puerto Escondido's premier luxury oceanfront hotel and real estate development, has debuted 'Botanica,' its newest spate of beach condominiums inspired by Oaxaca's vibrant culture and unspoiled natural landscape. The debut continues Vivo's steady growth on Mexico's burgeoning Emerald Coast following a record-breaking year for the development. Botanicais defined by an oasis-like atmosphere of quiet privacy and oceanside beauty. Botanica's Oaxacan-influenced design features lush gardens, tropical garden courtyards, ocean or mountain views from every room, landscaped islands and Vivo's largest pools. Puerto Escondido is a growing port town experiencing an influx of incoming flight routes and interest from surfers, yet retains an authentic Mexican feel, making it the optimal choice for renters and buyers seeking tranquil tropics. The town has an atmosphere of authentic charm, where travelers can try indigenous treats in Puerto Escondido's famous farmers' market or in Ernesto's, Vivo's own farm-to-table restaurant with fresh Oaxacan dishes. For travelers seeking to further immerse themselves in the Mexican lifestyle, the resort offers Spanish lessons, in line with Vivo's aim to integrate its activities into the community. Vivo also boasts an in-house charity, Vivo Foundation, that invests in ecological initiatives, construction projects, orphanage donations and improvements and agricultural programs that benefit the indigenous Puerto Escondido community. The resort also ensures it pays employees above standard. For more information visit www.vivoresorts.com. ViewFort Estate of Anguilla, showcasing the best of Anguillian culture, cuisine and hospitality, owes its authenticity to a beautifully preserved 200-year old structure, framed by rock walls of a previous generation, one of the last remaining pieces of artisanal work of 19th century Anguilla. Set on the highest point on the island, now renovated and reopened since the devastation caused by Hurricane Irma last September, ViewFort Estate, has reemerged onto Anguilla's luxury market, offering the island's most elegant and historic setting. One of the native co-owners and proprietors of the private estate - Josephine Gumbs-Connor, from a multi-generational family from Anguilla - is most keen to share Anguillian heritage and history with their guests to help tell the story of this glorious island. Surrounded by breathtaking panoramic ocean frontage, this unique property exudes a casual elegance - a mixture of regal and rustic - which they call 'Pure Anguilla'. Their goal is to bring forth an authentic Pure Anguilla feeling with carefully curated experiences that bring the island's culture to life for guests, such as tours around the island and locally-infused gourmet meals from the Villa's classically trained Chef. The property is an eclectic expression of the island's spirit with 5-star appointments including an infinity pool and oversized outdoor hot-tubs. The Estate also encompasses 80 acres of forestry and beaches at Katouche and Little Bay where guests enjoy guided hiking trails, spelunking tours through its caves and water sports. Their foundation, Pure Anguilla Foundation, was started to provide immediate aid and resources to the island's families and children during the storm. Contact INFO@viewfortanguilla.com, 264 497 8713, visit www.viewfortanguilla.com. Celebrating its 600th anniversary this coming year in 2019, Madeira is a vacation destination both unspoiled and up-to date. Contradictions in co-existence! An off-road open-air jeep tour takes you to areas of the island untouched by time, where farming on steep slopes continues as it has through the ages. Ride the modern cable car up the mountain to visit the Monte Palace Botanical Gardens, then have a seat on a man-powered old-fashioned wicker basket taboggan sled built for two for a ride down along stone streets. Choose lodging in the style of the traditional 16th century "quintas" (farmhouse inn) such as the Quinta do Furão on a cliff top in Santana on the northeast coast or stay at the 5-star Pestana Carlton Madeira, a luxurious and charming hotel in the city of Funchal, with a Ballroom for meetings and a cocktail lounge for live music listening and dancing. Madeira, a destination not top of mind to American vacationers, I met only one other during my 6-night stay this past May, and she had a connection to the island -- her great-grandmother was born here. More popular among European vacationers, indeed my hotel registration papers called me Frau Skriloff. I'm guessing the top countries travelers represent are those covered by the daily newspaper synopsis offered in the breakfast room The Good Morning News from Germany, from England, from France. An island belonging to Portugal off the coast of Africa near Morocco, Madeira is reached via flights from Lisbon and the stopover package via TAP Airlines gave me a chance to include that city during my trip. Among the top reasons travelers come to Madeira: nature, the climate, wine, gastronomy, history and culture and my itinerary for Multicultural Travel News focused equally on those. Our full-day island jeep tour with Madeira Mountain Expeditions exposed us to a range of micro-climates around the island as the jeep climbed the 1818 meter high Pico do Arieiro, the highest point in Madeira, took us through Machico, where Portuguese sailors arrived in 1419, and into Canical, passing the Museu da Baleia (Whale museum) and the vineyards growing the table wine grape variety of Madeira wine called First Love. Throughout the day we passed fields of crops -- Madeira is known for growing and exporting bananas - and our driver/guide Angelo Dias told us about sugar cane and potatoes and pointed out the mandarinas and the loquasts not to mention the (highly poisonous) Foxglove (digitalis) flowers. Riding through the heavily forested area, the "abundant wood" that gave Madeira its name, taking in the scent of the Eucalyptus trees, I could feel us step back in time as our off-road capable jeep climbed the vertical landscapes. What does Madeira remind you of? My well-traveled jeep tour companions asked ourselves, this being the first visit for all of us. Is it more like San Diego for its climate and spotlight on outdoor activities such as mountain biking? or Capri, an island with similar climbs? Or is it like Hawaii, another volcanic island? Madeira is unique and deserves to be on the radar of world travelers....Vacation, business and incentive travelers! Madeira Mountain Expeditions is the #1 company for incentive travel Angelo told us and has carried out programs for companies such as Pirelli Tires, Bayer, and Volkswagen, as well as American sports doctors' meetings. Other forays into the great outdoors during my visit: a 3- hour dolphin watching catamaran boat ride with VMT Madeira (and we saw plenty!) and a mountain bike excursion plus Levada walk with EPIC Madeira. The Levada walks, walking paths alongside the man-made irrigation canals that criss cross the island are a popular activity and Epic Madeira offers excursions of varying levels of difficulty. They also offer something called coasteering, which I would call cliff jumping and canyoning, which I would call waterfall rappelling, but as luck would have it, (wink) I was busy the day my group did that. Interesting fact I learned in the park museums: Darwin was an enthusiast of Madeira before he knew about the Galapagos! Other museums I visited during my trip focused on the heritage, history and culture of the island. Fabrica Santo Antonio - since 1983, this 6th generation, family run factory, produces biscuits, jams, candies with the flavors of Madeira, (eucalyptus, sugar cane, fennel, among others,) cookies, and, now, gluten free ginger biscuits and almond scones. Tasted honey cakes and left with a bag of eucalyptus candies. Madeira Film Experience - I made a beeline for the Marina shopping center to see this 5 euro 25 minute movie about Madeira's history. I'm a sucker for these introductory films and this one didn't disappoint. Madeira Story Center - Likewise this mini museum in Old Town is a diorama version of the introductory film. Life-size figures, animatronic ready, tell the story as you wind your way along the path thru history of the island from its volcanic origins, discovery of the archipelago, to modern day. I wished I had time to end with a meal or drink on the outdoor terrace overlooking the sea and the cable car! Of course, the not-to-be missed visit is to a Madeira Wine Museum, the product most associated with the island. At Blandy's Madeira Wine Company, our 45 minute tour covered the history of the Blandy family, the company, the wine and famous fans of the wine, including Winston Churchill, Dwight D. Eisenhower and Princess Margaret whose letters of appreciation were on display. Our Portuguese guide's English was so good, my fellow tour-takers, from England were heard guessing what part of the country she was from. Indeed, everyone we met spoke English and particularly those in the hospitality industry. The tour, of course, ended with a tasting. The Madeira wine connection with the United States goes back to George Washington, who toasted The Declaration of Independence with Madeira wine and Jefferson also was a fan. One small taste was not enough so one morning I joined a Discover Madeira Food & Wine walking tour from Funchal center through Old Town. In 2 ½ hours we made 9 stops, eating our way around town, trying the scabbard fish, the chocolate, ginger cookies, honey cake and drinking beer, Madeira wine and "poncha" a high potent rum drink with cane juice sugar and honey. The tour ended on the rooftop terrace of the Mercado dos Lavradores in Funchal where we had our cake and fennel tea, from the tree that gave "Funchal" its name. Sofia Maul was our tour guide and she too spoke flawless English, in fact she was raised bilingual, learning English from her grandmother. On her tours, she noted, that while North Americans make up 2-5 % of visitors to Madeira, they make up 40-60 percent of her tour. Madeira's tourism official Luis Gonçalves, in the Madeira Promotions Bureau, told me about the growth of visitors from North America, an increasing part of their tourism goal of 3.5-5 million visitors per year. Last, but by no means least, gastronomy was a highlight of the visit. Santa Maria Restaurante (Fish & prawn skewers and sushi), as well as Riso Risottoria del Mundo and Quinta do Furão for the accompanying view: and O Lagar for the folklore show and mini museum and where every table had a skewer set up for their popular espetada (beef skewers) offering.